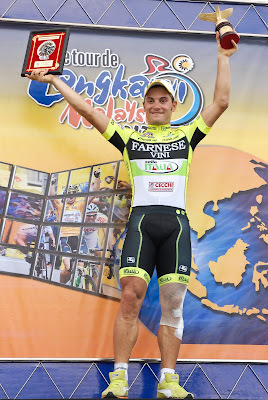 25 FEBRUARY 2012, MELAKA - Immediately clicking back into the position he was in last year, Italian Andrea Guardini underlined his position as one of the top young sprinters in cycling when he won today’s second stage of the Tour de Langkawi. 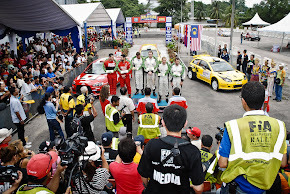 The 22 year old picked up five out of the ten stages last season and is aiming to take a number of victories again in the Malaysian race. 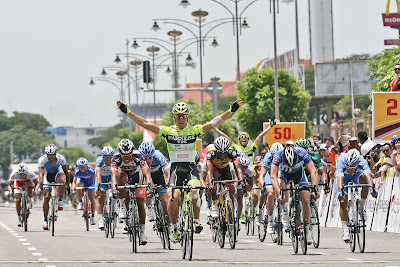 He sped home into Melaka in front of Jacobe Keough (UnitedHealthcare), Christian Delle Stelle (Colnago-CSF Inox) plus the rest of the main field, and said afterwards that it was good to be back on top. 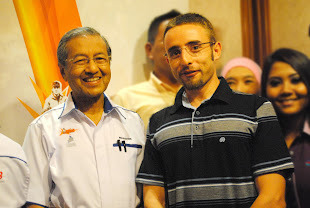 “I needed to come back to Malaysia to be a winner again,” he enthused. 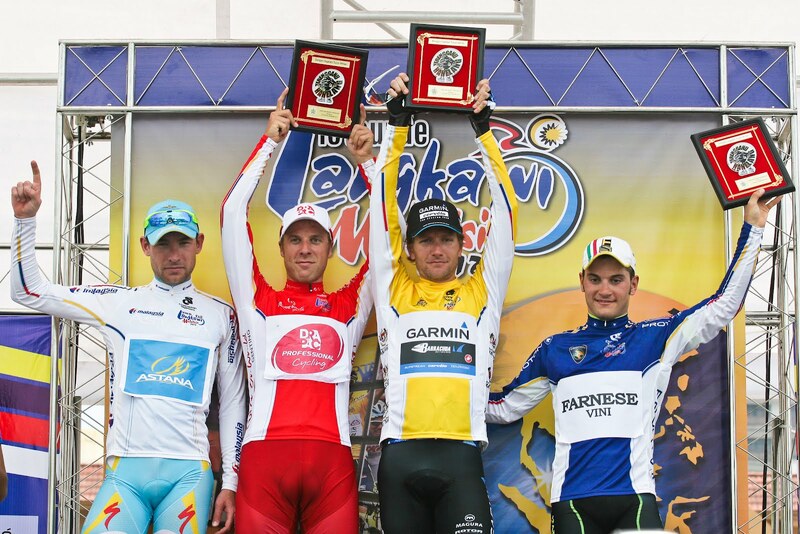 “This is my fourth stage race of the year and I didn’t manage to win any stage in the first three. That was partly because of bad luck and partly because my adversaries were stronger than me. Overnight race leader Dave Zabriskie had no major scares during the stage and easily retained his yellow jersey. He has a one minute lead over Adam Phelan (Drapac Cycling), who crashed just inside the final three kilometres and ended up finishing last on the stage. Fortunately for the Austrian, the location of the incident meant that he didn’t lose any time. 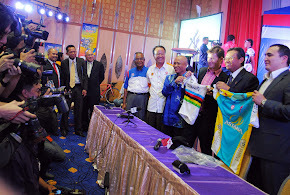 The second stage began in Putrajaya, close to the location of yesterday’s time trial. 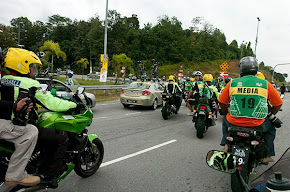 Sea Keong Loh (OCBC Singapore) attacked after ten kilometres and was joined soon after by Foris Goesinnen (Drapa Cycling). Together, they quickly opened 30 seconds. 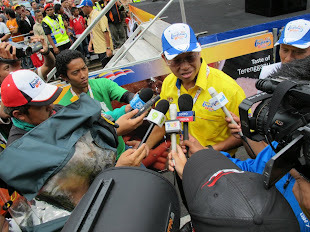 Soon after, Zinal Mohammad Nor Rizuan (Malaysia national team) started chasing and tried to get across to the others. 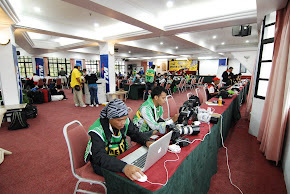 At the first sprint at Salak Tinggi, 22.5 kilometres after the start, Sea Keong Leo took the points ahead of Goesinnen. Rizuan was still chasing along while back in the bunch, two minutes behind the leaders, Anuar Manan (Champion System) led the peloton across the line for fourth. 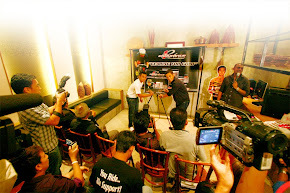 Goesinnen was first to the top of the category four climb at Bkt Pelandok, 38.2 kilometres into the stage. 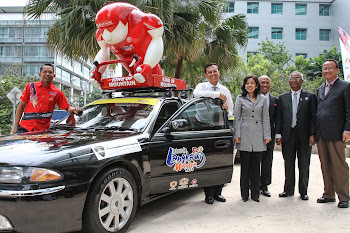 He led Sea Keong Loh across the line there, while behind Rizuan continued to chase alone. 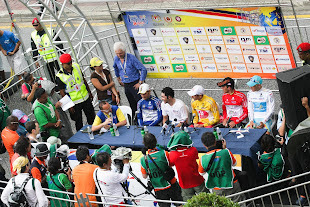 Colombian climber Freddy Gonzalez (Azad University) was first from the bunch, netting fourth place there. 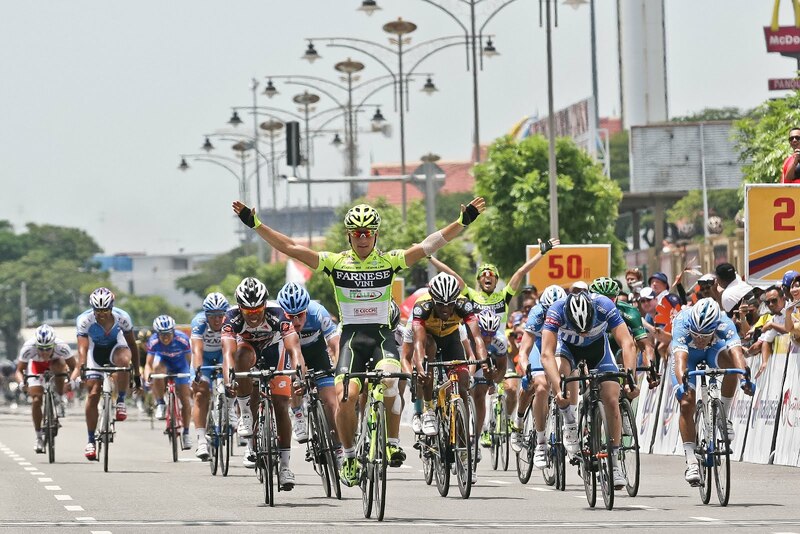 The two leaders rode well together and raced on towards the day’s second intermediate sprint at Port Dickson (km 62.6). Sea Keong Loh finished ahead of Goesinnen there, while behind Rizuan was about to be closed up by the peloton but just held on for third ahead of Salleh Harrif (Terengganu). His break ended very soon afterwards. A time check eight kilometres later put the two leaders three minutes 44 seconds ahead as they raced towards the category four climb of Linggi. Their advantage went up to four minutes fifteen soon afterwards, the highest level they would succeed in building. 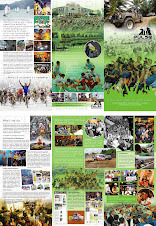 After two hours of racing, the leaders had covered 86 kilometres, and still had 55 kilometres remaining. The Garmin team had been doing the chasing up until this point, and were later joined around this time by some from the Farnese team of Andrea Guardini. This collaboration had the desired effect on the gap, and it was down to just over one minute with 25 kilometres left. RTS Racing rider Lee Rodgers seized the chance and bridged across, but the gap continued to drop and was down to 29 seconds with ten kilometres to go. The bunch made the junction approximately five kilometres later and from there to the line the various sprinters’ teams did what they could to put their fastest riders into place. 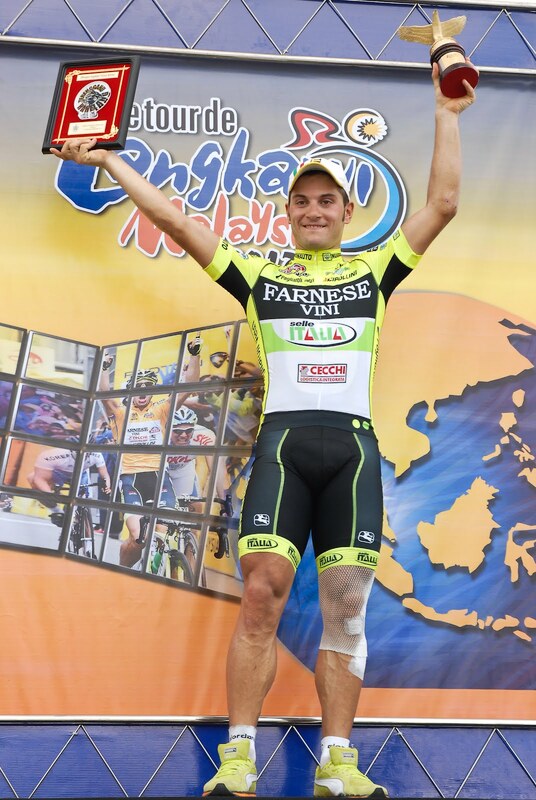 Farnese Vini did things perfectly, giving Guardini the perfect leadout from which to reach the sixth Langkawi stage of his short career.